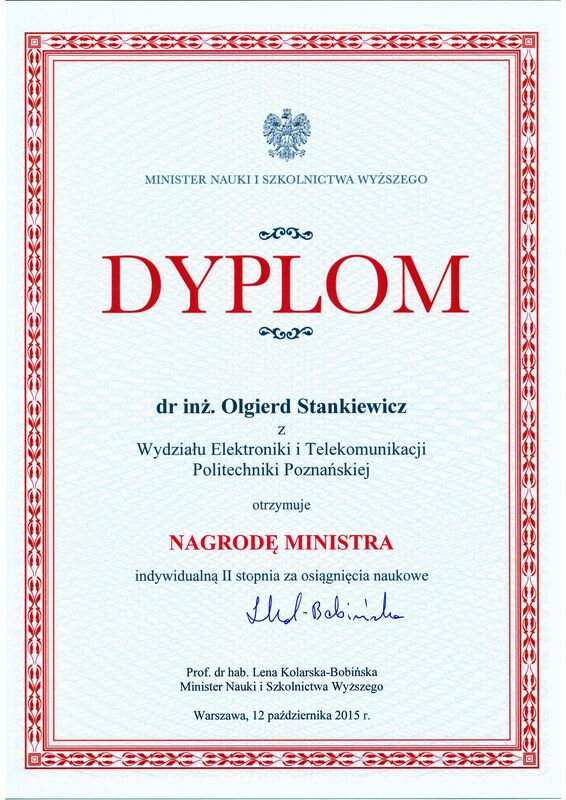 Mr Olgierd Stankiewicz, PhD, assistant in the Chair of Multimedia Telecommunications and Microelectronics received a reward from Minister of Science and Higher Education for outstanding scientific achievements. The reward was for his doctoral dissertation „Stereoscopic depth map estimation and coding techniques for multiview video systems”, which was defended with honors at the Faculty of Electronics and Telecommunications. The dissertation adviser was professor Marek Domański. The winners received statuettes from the hands of Minister of Science and Higher Education at the gala in the Palace of the Primate of Poland in Warsaw. 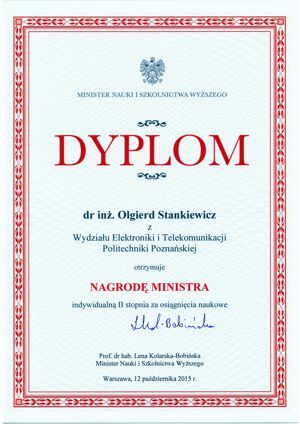 Mr. Stankiewicz received also congratulations letter from the Rector of Poznan University of Technology, prof. dr. hab. inż. Tomasz Łodygowski.